Today I sat down with Fabian Scheurer of Design-to-Production; a consultancy practice enabling non-standard architectural projects of high complexity to take flight. We had a coffee and discussed the groundbreaking work unfolding at the headquarters in Erlenbach, Switzerland and of the current industry climate. It was loads of fun! 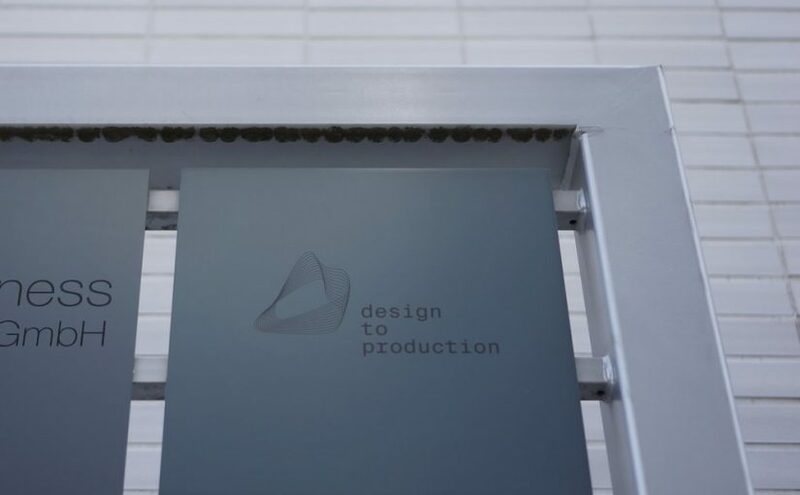 Design-to-Production was founded in 2007 by Fabian Scheurer and Arnold Walz.Together, the IT specialist and the architect soon realised that each of them was active, one at the beginning and one at the end, in the same digital process chain, but that, between these extremes, many links were missing. So they became the first to offer Production-oriented data modelling as an independent service. In 2009 Hanno Stehling joined the team, and then, two years later, Johannes Kuhnen. Design-to-Production is a service provider, a business structure defined not as designers or fabricators but instead working as that critical glue in between. The majority of project work undertaken by Design-to-Production are for the last links in the delivery chain, predominately working for and engaged by the contractor. This creates challenges when attempting to radically shift the way architecture is fostered. It is a focus of Fabian’s to identify early on which projects will result in digital fabrication to enable them to collaborate with the design teams from the beginning. This collaboration enables the educating of project participants on the required outputs that in turn allow for lean production. Architects traditionally have been training themselves to deal with the in-situ building side of the process without having a requirement to think about the prefabrication side of opportunities. Fabian proposed that there needs to be a discussion on how to build the design models for a proper implementation without remodelling down the consultant-line. There needs to be need to be a discussion about quality management of models involving checking along the way. Not just collision detection but data quality. Are there modelled windows missing the identifying information? And that method of quality control needs to be investigated collaboratively with all industry participants. For digital fabrication, it’s not about geometric modelling being the output, it is the embedded data behind each of those geometry pieces. What are they, where are they, are there common-naming systems? This is in some way a remnant of the historical approach to architecture, from the not too distant past where pen and paper defined the construction documents. There was no need to embed further data into those lines which continues on today. So the emphasis is still being put in to the geometry of the model rather than the underlying meta data that is actually helpful for construction. However what is typically being handed to contractors consists of “way to much information and way too little quality” which leads to the throwing away of received models and rebuilding with the information needed. The work that design-to-fabrication engages with is slowly changing this paradigm. The developments and service provided to specific sets of projects is enabling the full-scale off site pre-fabrication of architecture, particularly in timber. And that’s what I resonated the most with with Design-to-Production’s ethos. They describe their role as to challenge what the construction industry has been doing for years, “abandoning the old, well-worn paths” to discover better contemporary methods to deliver good work. On a traditional site, it is harder to maintain quality controlled processes. But the digital fabrication approach that is being pursued enables lean production; cutting out waste whilst ensuring quality. The big issue with that is not the technical interface of delivery – the engineering problem behind construction digital fabrication systems is relatively achievable – its the ability to convince people to change their method of work. But there are huge gains in terms of speed, time and productivity that are possible on that horizon. So what is exciting Fabian now and for the future? What excites him is that they are currently reinventing Design-to-Production to cater to right-angles. Prefabrication in a digital workflow for rectangular buildings will allow for the wider adoption and benefits of this enhanced approach to design and construction, and perhaps even bolster the abilities of lean production. It is a testament to the value of the digital fabrication process. It’s not just about enabling the creation organic forms – which the company certainly has helped deliver over the past 15 years – it is about creating a better way to create architecture and remove the financial and complexity burden that bespoke design elements bring. To read more about Design-to-Production and see their portfolio of projects you can check out their rad website here.